For once, I don't hate a Kilik drawing even months after finishing. 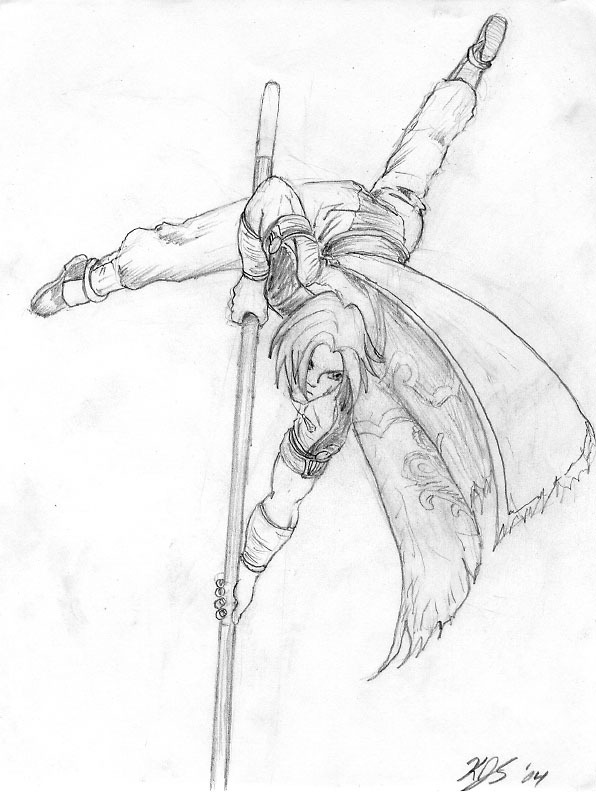 It's stood the test of time, so I present: My best Kilik drawing yet. Very nice job on the pose! It looks insanely hard to draw yet you pulled it off awesomely. I think his right hand looks a bit off though. My only other crit. is that the erased pencil is still there, so it make sthe pic look somewhat messy. Love Kilik, love the picture, love it all!!! that's great! though Kilik looks better when he smiles ..he's gut such a cute smile..anyway it looks GREAT!!!!! woah, that's amazin, it must've taken a long time 2 do, Kilik's moi character 2 b(though he's not moi best.And yes, i hav majorly seen that move loads of times.